We’ve had a couple of hints thus far that Morgan had a teacher helping him rid himself of his demons and come to a place of peace. In Here’s Not Here, we finally get to meet this teacher. 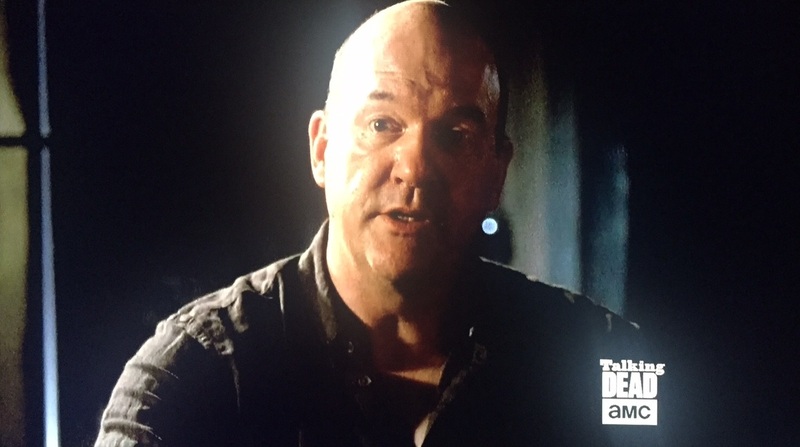 Eastman, played by the ever recognizable John Carroll Lynch, is a psychiatrist formally specialized in treating prisoners with PTSD. He has also become something of a master of Aikido, the practice of never killing for any reason at all. Strict adherence to this doctrine has brought him peace and a conviction that all life is precious. This is a conviction that he tries and succeeds in passing on to Morgan. The essence of this episode was about dealing with our demons and suppressing our rage and anger before they manifested in something as brutal as murder. Eastman carried the lions-share of dialogue for the entirety of the 90 minute episode, which at times was more like talking to a wall as he tried to get Morgan to warm up to him. One such moment which I thought was particularly revelatory was when he’s describing why it is we suffer from PTSD; we aren’t made for violence. We don’t have claws or fangs. We have a mind which contemplates the ramifications of violence. We wrestle with the decision to beat, maim, or murder someone even after we’ve made the decision. We have a conscience. It is only when we are subverting that conscience when we’re able to accept the notion of taking another life. I think this is probably the case whether we have rightful justification for killing or not. It must be something we wrestle with or we become little more than animals. 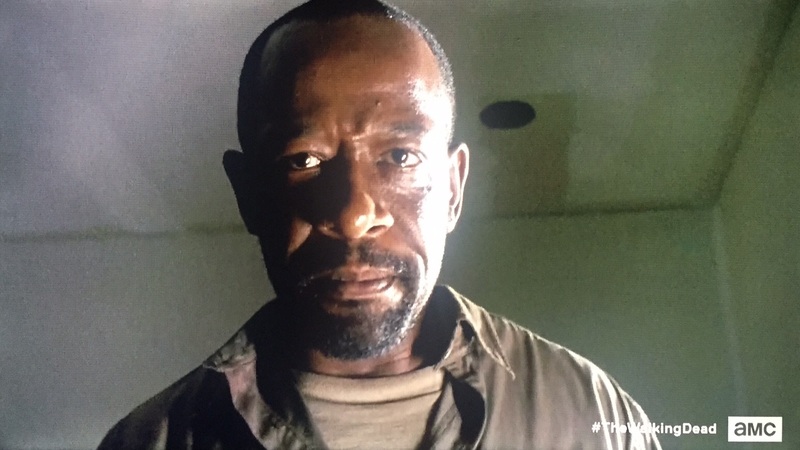 As we watch Morgan’s progression through the episode we see him doing just that; wrestling with who he is becoming and what he has become capable of doing. He insists that he must “clear”. By this he means he must kill all things around him. Anything that comes near him. With Eastman’s help he’s able to see that this doesn’t need to be how he lives. I couldn’t help but liken Morgan’s inner battle with something I think Cain was experiencing near the dawn of creation. We are all familiar with the story of Cain and Abel, how brother killed brother accomplishing the first murder in recorded history. What we’re less familiar with is the struggle, the wrestling with this choice that Cain underwent beforehand. His countenance fell. This is describing a change in body language spurred by a negative shift in emotion. Cain had become angry and jealous of his brother. He was prepared to sin against his brother. The Lord warned him of that possibility due to his anger, and even encouraged him to “master it”. This is essentially what Eastman is encouraging Morgan to do. Master his anger and redirect it so that hate becomes love and violence becomes peace, understanding that all life is precious. Cain told Abel his brother. It’s tough to say exactly what happened here. Did Cain tell Abel he hated him then kill him immediately? Or is this describing a discussion with his brother over dealing with his anger before succumbing to it a number of days later? I would like to think the latter because I think it appeals to something God created us for; relationship. Part of mastering our anger has to be to discuss it with others. We need to vent sometimes. This was also key in Eastman’s tutoring of Morgan. Near the end of the episode as Eastman is suffering from a bite, he tells Morgan he can stay at his cabin, but he shouldn’t. He shouldn’t be alone. He needs to be around people so he doesn’t end up in the mindset he was in before. 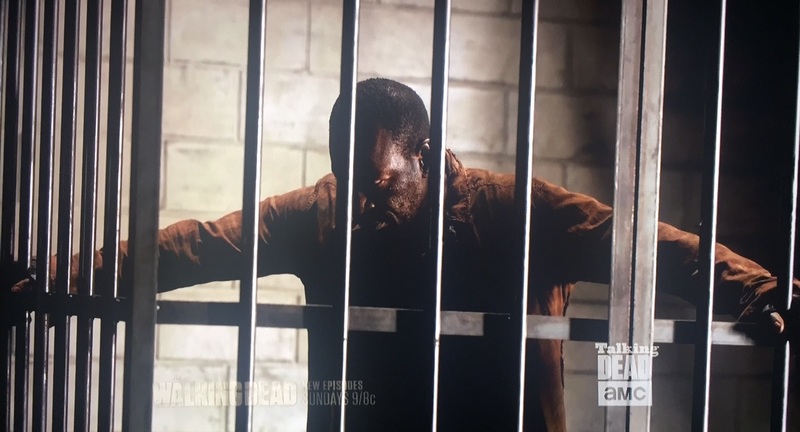 To conclude the episode we find that Morgan did not actually kill the young man from episode 2. In fact, he’s trying to do the same for this wolf as Eastman did for him. But Morgan isn’t a psychiatrist, and he isn’t alone with this young man. His desire to extend the olive branch to a hostile enemy could put the rest of the community in danger. Eastman’s observation that we don’t have claws or fangs may indeed have been a bit of foreshadowing; Wolves do have claws and fangs, and the wolves that attacked Alexandria are far from wrestling with their decision to murder. I imagine a central complaint of this episode may be from those growing weary of the use of flashbacks. Just four episodes into season six and I believe three of the episodes have used flashbacks as a story-telling device. However, stepping back we can see that in current time we’ve only covered about 6-8 hours of events from leading the herd of walkers away to the end of the attack by the wolves. Each episode has been somewhat frantic, but with this we slowed down and spent some time on character development. In fact, it became more of a two-person drama than a zombie apocalypse show. Lennie James and John Carrol Lynch turned in terrific performances. I really got a feel for how far Morgan had fallen, and how far Eastman had come. Even when the show is light on action, it can deliver the drama with excellent writing and analysis of it’s characters. I would love to hear your thoughts on this slower paced episode! Did I miss some important analysis? Will Morgan’s attempt to passify one of the wolves put Alexandria in danger? And of course, is Glenn alive??? The point of the episode is that Morgan can now reach out to people in peace wheras he couldn’t before. The irony is that Morgan’s act could be dangerous. I’m not sure if he really believes it’s worth the risk. Good observation. His locking the cage alone shows his hesitancy. I have to believe it will come back to bite him before the mid-season finale. Thanks for commenting!